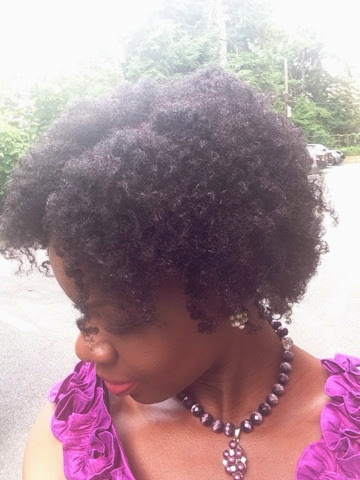 I love the look of "Wash and Go" but hate the single strand knots I get from it. I also do not like the shrinkage from the traditional "Wash and Go". They also take forever to dry and set. in the concoction too, but at very low percentages. 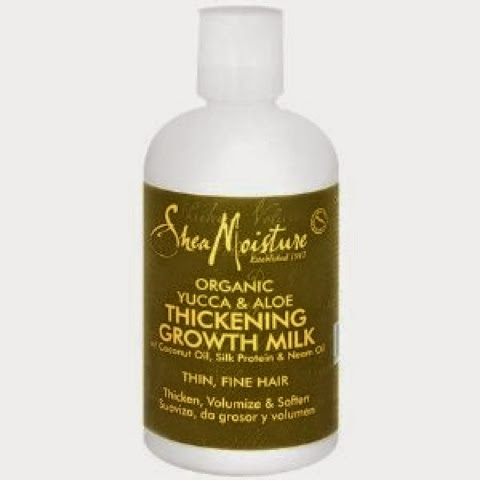 Shea moisture Growth milk for fine hair. This is what they typically call the LOC ( Liqiud, Oil and Cream) in the natural hair community. 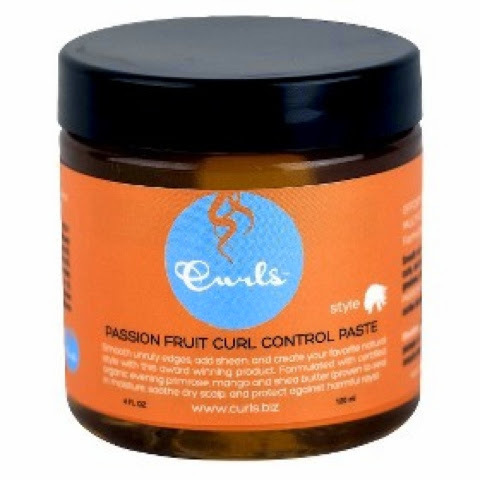 This LOC method helps seal moisture into the hair for a long time. Then I add a styler before twisting it in small sections. In the picture above, I used Curl's Control Paste as the styler. That stuff is heavy so I try not to be heavy- handed with it. I applied it to the individual twists focusing more on the ends. So I make about 18 twists. I then divide them into two sections( left and right) and band them up to keep them stretched. Because they are banded up, the twists are never dry when I take them down. This is how I get the "Wash and Go" look. 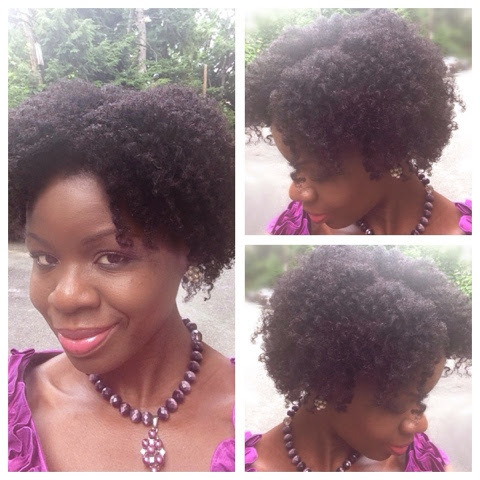 I experience some shrinkage but not a lot since I stretch my twists. 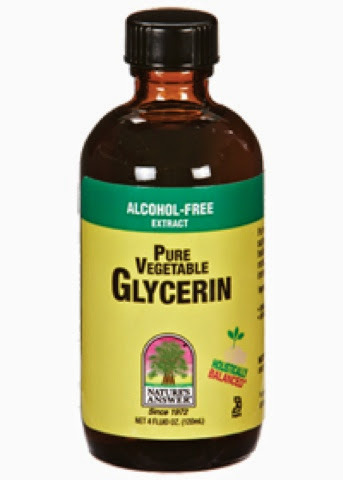 The Glycerin also keeps moisture in my hair giving me that wet look, even though my hair is not wet. 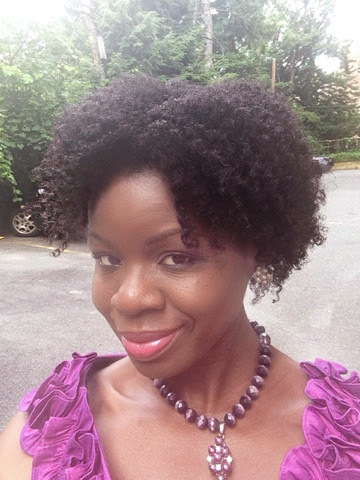 I re- twist at bedtime, but I wet my hands first before twisting, so my hair could be pliable for twisting. I do not spray water on my hair directly, I only wet my hands, so my hair can be slightly damp. 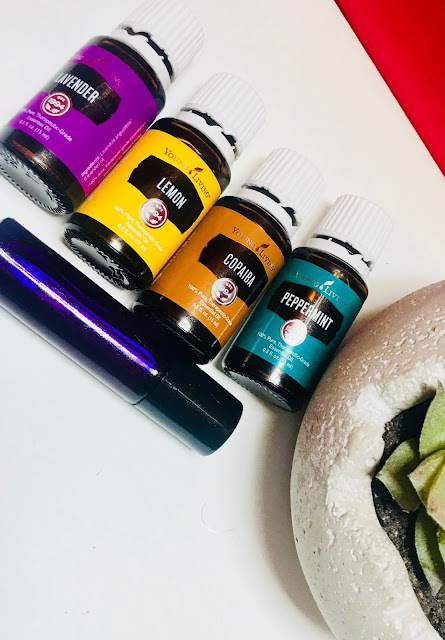 The water re-activates the products so there is no need for piling up products only to reap product build-up in my hair. Your hair looks great! Voluminous.